I planted 12 in Fall 2014, 11 came up in Spring 2015. WFF Ivory Perennial Tulips open a creamy yellow and quickly mature to a solid ivory white. Perfect to enrich the May border or to pair with other Tulips in bouquets. As the description and comments say, these start a light yellow and turn to ivory. Note I said ivory, not white. There is a difference and that difference becomes obvious when near the snow white of creeping phlox, all white narcissus, etc. These were straight and tall, the tulip heads perfectly shaped like you would see in a cut flower display. Although an elegant tulip, especially for cutting, I will not order again because they are ivory and my color scheme is white, blue, and purple. 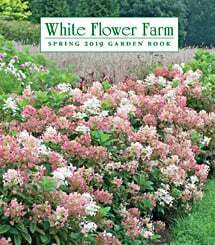 I will dig them all up this fall and relocate to a separate flower bed, where they will be away from the other white flowers and therefore their ivory color won't be as obvious. I would however recommend them to someone who prefers ivory or isn't as picky about the shade of white. This tulip is fantastic. It definitely started out on the yellow/cream spectrum and then turned white. Long, tall, strong stems and large flowers. Beautiful. Will be reordering to add in some more. Hope it comes back strong in year 2. Bulbs were planted right after they arrived. Spring display has been beautiful in two specific locations-- one sunny, one shady. This is a gorgeous flower. Beautiful blooms and tall tulips. They are beautiful.